With the excitement of our Linen Bedding launch, we took the time to answer some of your frequently asked questions. Read on as we shed some light on one of our favourite fabrics that will enhance your bedding routine. Pure Linen is lightweight and breathable. The porous nature allows it to have conductive properties, which will keep you cool in summer and warm in winter. It’s natural properties make it three times stronger than cotton, ensuring it will last the test of time. What is different about The Beach People Linen Bedding Range? Our range is made from 100% French flax linen. Paying close attention to detail, the range was designed in Australia in our signature coastal luxe style. The bedding features stunning eyelash fringe details on the sheets and European pillowcases and elegant ties on the duvets. All colours are complimentary and can be paired back together and layered to style your home with ease. With subtle texture achieved through garment washing, this fabric is soft yet durable and naturally stain resistant. Linen has a distinct raw texture that develops a soft luxurious feel the more it is washed and used. In summer, it is cool to touch and breathable, while in winter its natural properties will keep you warm and comfortable. How do I care for my linen? Linen should be washed prior to first use. For best results we suggest warm machine wash on gentle cycle using mild detergent and washing with like colours. Be sure to launder any stains immediately and rinse thoroughly. Line dry or tumble dry on low. Does Linen need to be ironed after washing? Although we suggest styling linen in a more lived in look (embrace the wrinkles! ), you can iron on a medium setting if you desire to remove larger wrinkles. Linen was sometimes used as a form of currency in ancient Egypt. Egyptian mummies were wrapped in linen as a symbol of light and purity, and as a display of wealth. If you still have unanswered questions, please contact us at hello@thebeachpeople.com.au. 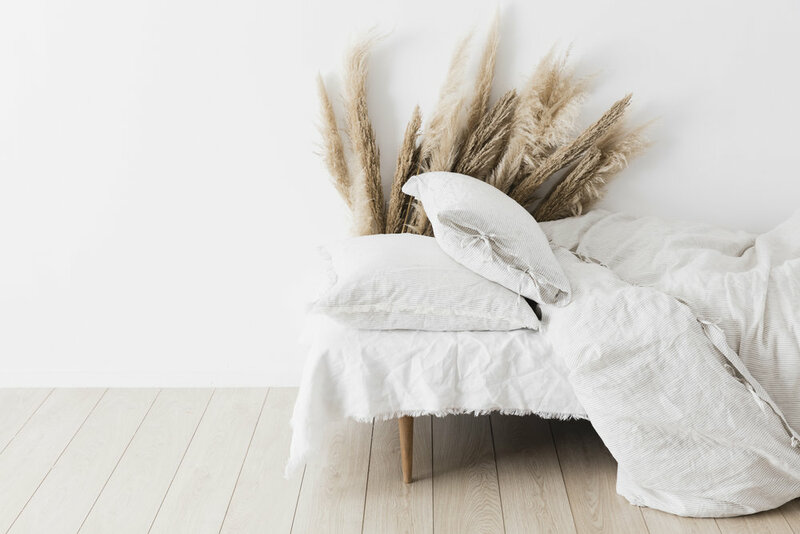 Wishing you your best night's sleep yet, with our Linen Bedding Range!